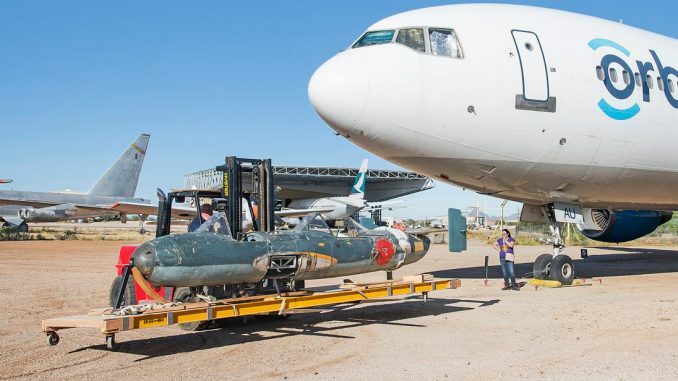 The Pima Air & Space Museum in Pima, Arizona recently unveiled the world’s sole surviving Yokosuka MXY7 K-2 Ohka, a two seat training variant of the rocket-powered kamikaze plane. It was designed for the Imperial Japanes Navy to give semi-trained pilots rudimentary experience flying and guiding the aircraft prior to their suicide missions in the fully armed variants used to attack Allied naval vessels during WWII. 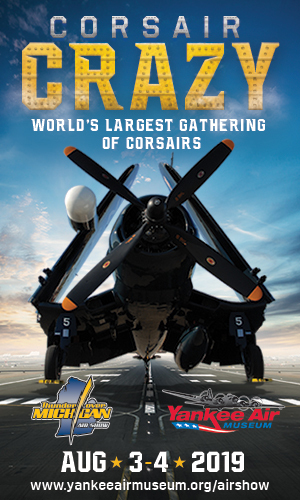 The aircraft is on loan from the Smithsonian’s National Air & Space Museum, and is an amalgam of an original fuselage (which is left in its preserved, though unrestored state) and a set of newly-built wings, tail group and cockpit canopies. 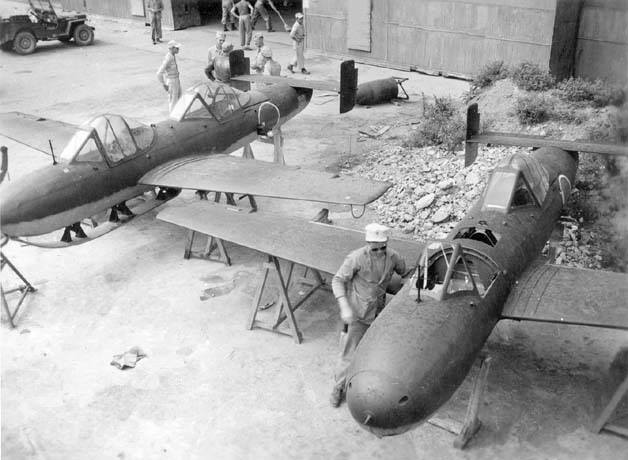 A wartime image of the two K-2 Ohka’s being inspected by American troops soon after the close of WWII. “Little or no pilot training was required to fly the Ohka. The navy devised a short, introductory training session probably consisting of ground instruction followed by one or two flights. 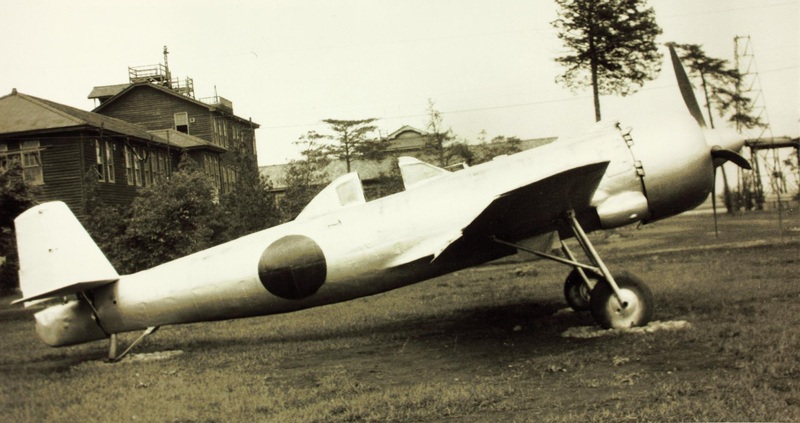 For flight training, Kugisho built the MXY7 K-1 Ohka. This was an unpowered glider version of the single-seat Okha 11. A bomber carried the trainer aloft but the airplane touched down on retractable landing skids. Water ballast replaced the warhead. The pilot dumped the ballast before landing to reduce touchdown speed. Kugisho built about 45 K-1 trainers but the aircraft was difficult to control, especially after the pilot dumped ballast. The aircraft probably killed several trainees. Kugisho engineers developed an improved trainer, the two-seat MXY7 K-2 Ohka 43B, when they substituted a second cockpit for the warhead/ballast compartment. 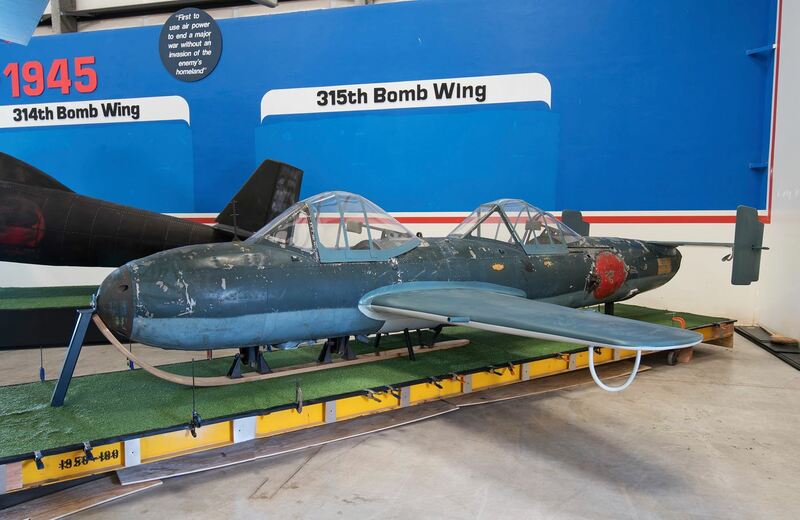 They gave the aircraft a landing skid, flaps, and a single rocket motor of the type used in early versions of the Ohka 11. The motor extended training time in the air and allowed student pilots to practice flying the bomb with power. Using this MXY7 K-2 trainer, the navy also taught pilots to fly a ground-based Ohka called the Model 43. A catapult propelled the Model 43 down short guide rails and into the air. The Japanese could hide the whole apparatus in caves. Development began so late in the war that Kugisho completed only two of these trainers before hostilities ended.